Cary, NC —­ Sept. 20, 2018 – Technology scouts and product developers attending INDA’s eighth edition Research, Innovation & Science for Engineered Fabrics (RISE®) Conference gave high praise to new technologies, new ideas and valuable connections discovered at the event held Sept. 11-12 in Raleigh, North Carolina. “RISE is a valuable eye-opener for new applications and market segments. It makes the neurons make new connections,” said Paul Latten, Director, R&D, SENW Southwest Nonwovens Inc.
“The presentations on biomimicry provided concepts we will definitely consider in LOLA’s new processes,” said Monica Belisito, Brand and Product Strategy Lead, LOLA. Other highlights included a poster exhibition of 15 research projects from Ph.D. students at North Carolina State University’s College of Textiles. The display presented a diversity of topics ranging from Process-Structure-Property Relationships of Melt-Blown PVDF for Battery Separators …to Superhydrophilic and Superoleophobic Materials for Oil/Water Separation… and Counteracting Antimicrobial Resistance with Photoactive Polymers, among others. Billy McFarland, Sr. Material Developer, and other colleagues from Nike Inc., commented they “enjoyed the diversity of new technical ideas presented at RISE”. 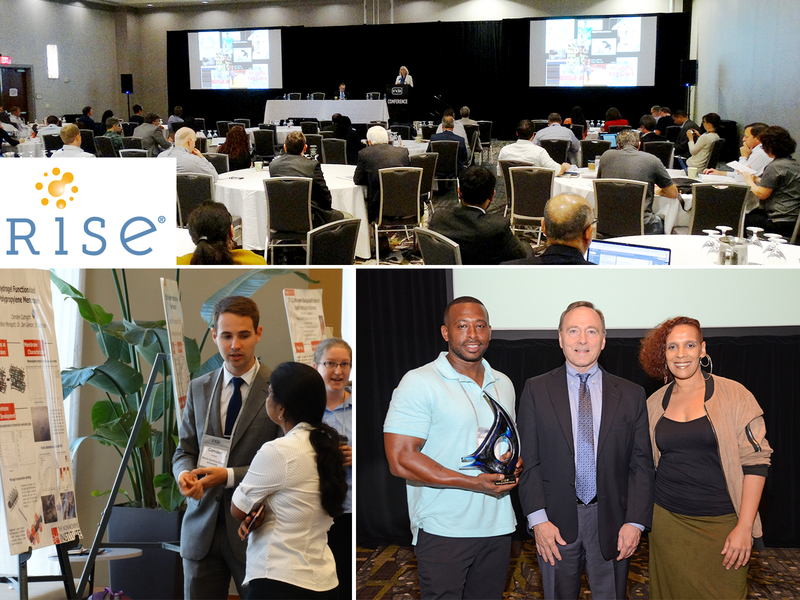 The RISE® Innovation Award was presented to DiviDiaper for its innovative design helping to prevent and reduce both infant and incontinence-associated dermatitis in adults, urinary tract infections, catheter-associated urinary tract infections and other infections and pressure sores. “We are delighted to win the Award,” said Tivon Jeffers, Inventor & CEO, DiviDiaper, Inc. The next and ninth edition of the Research, Innovation & Science for Engineered Fabrics (RISE®) conference will be in September 2019.